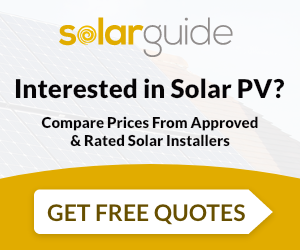 Installers of PV, Solar Thermal, Biomass, Sunpower Authorised Installer. Lee Rose - The organisation was founded in 2001 by Lee Rose. Lee is a domestic solar hot water and PV specialist and regularly teaches on solar training courses at LILI,BroadSol and the Centre for Alternative Technology. He has also worked closely with Logic Certification to develop their UK Government recognised training courses for plumbing and heating engineers. He is a published author and is highly active in the development and improvement of the industry. Our installers – Our installers are hand-picked for their experience, knowledge and good manners. We know them all personally and invest in their on-going development. Norfolk Solar is unlike most other renewable energy organisations. Whilst it is important for every organisation to generate profits in order to remain economically sustainable, we have a particular interest in sustaining issues larger than Norfolk Solar itself and believe our products and services have the potential to deliver far greater benefits to issues facing the positive development of the renewable energy industry, our regional and global environment, and the local community we live in. We have been recognised for our values both by the Renewable Energy Association (REA) and the Norwich Eco Awards. Norfolk Solar is in its fourteenth year, and has established a strong reputation for quality, fair trade and service. Norfolk Solar are MCS accredited engineers who supply and install Solar PV. For similar installers in this area please visit the Norwich solar page.